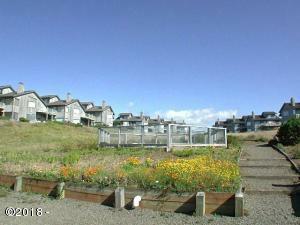 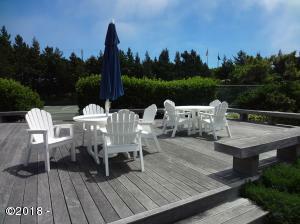 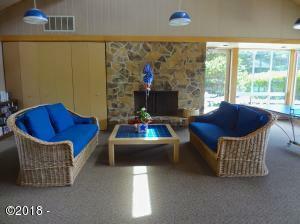 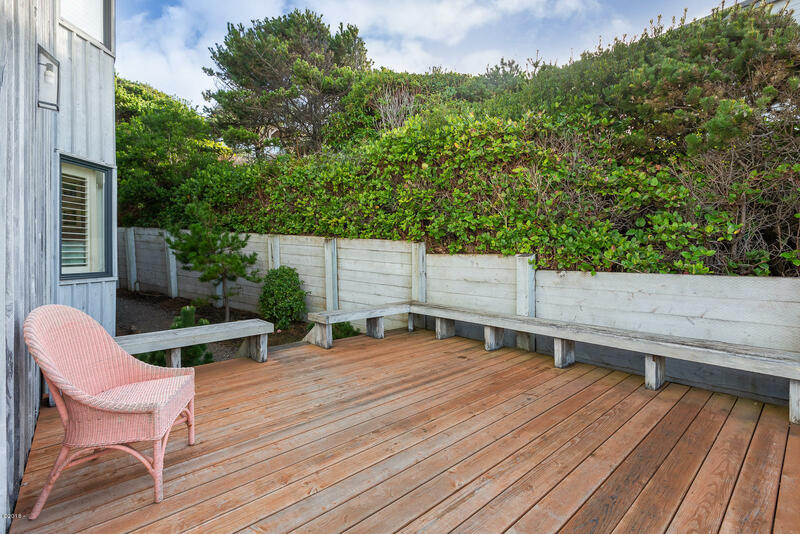 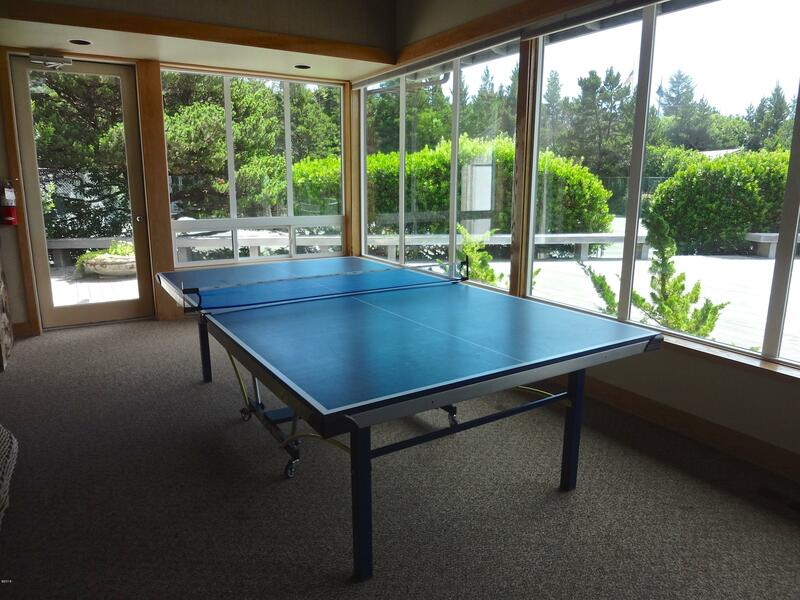 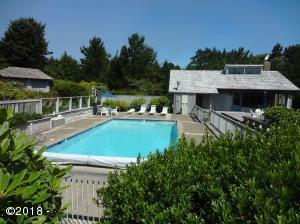 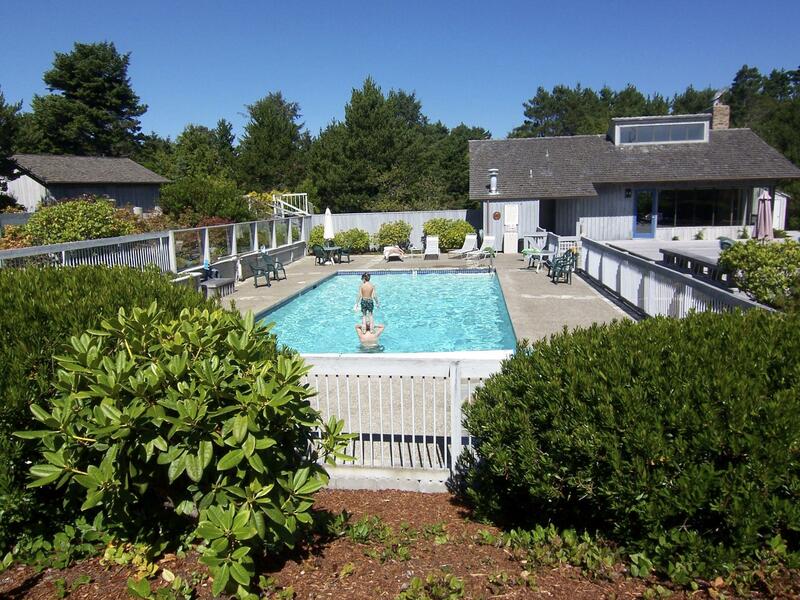 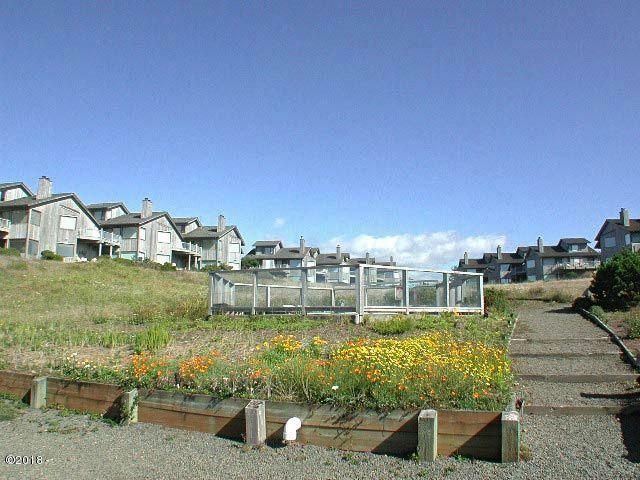 Large south deck makes this unit very desirable toenjoy outdoor activities. 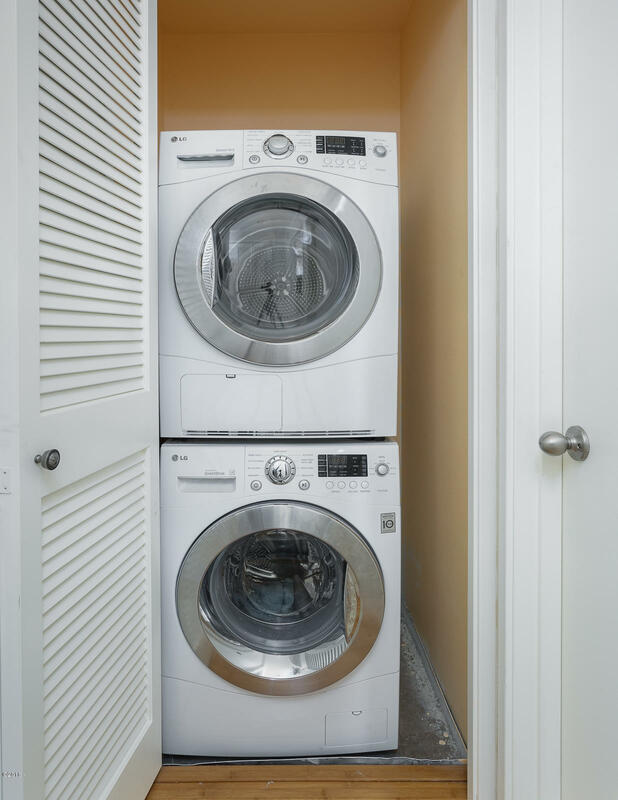 This unit was completely up-dated with high-end materials. 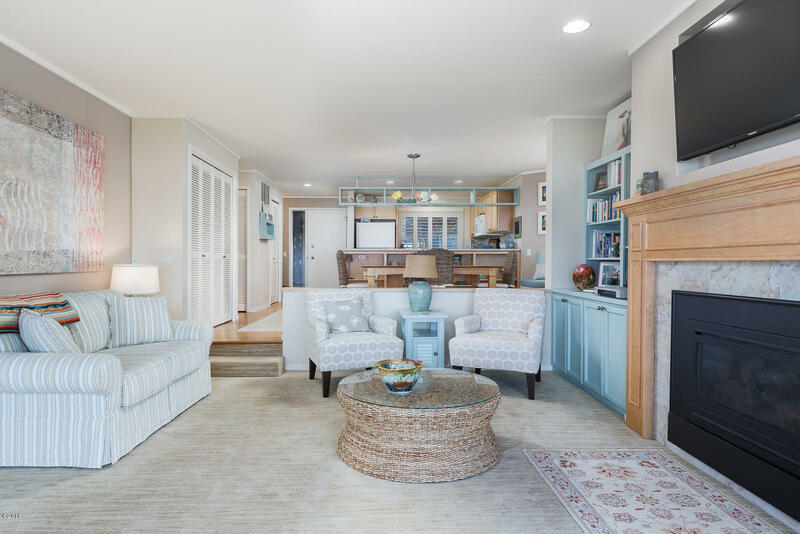 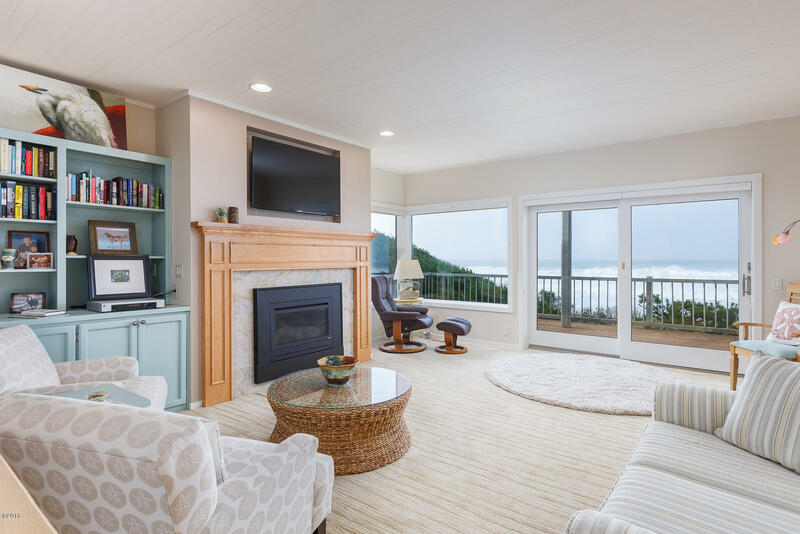 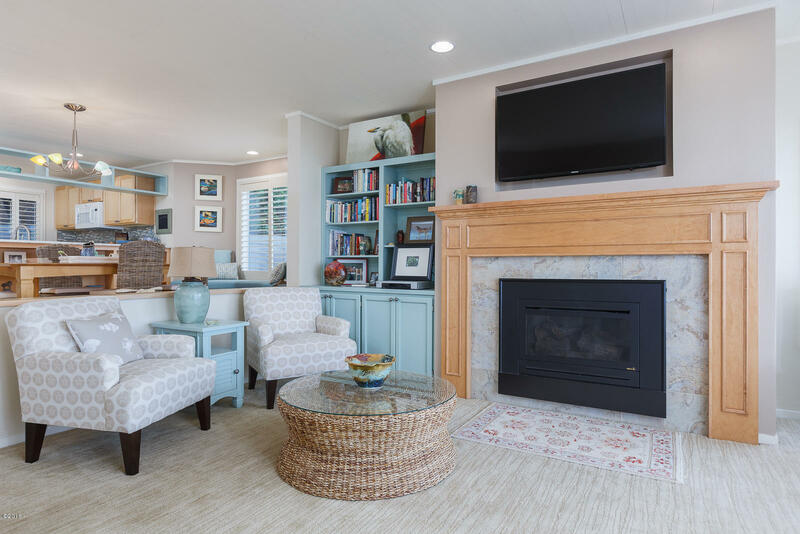 The living room features a large Anderson sliding glass door, newer gas fireplace with maple surround, storage shelves and beautiful carpet. 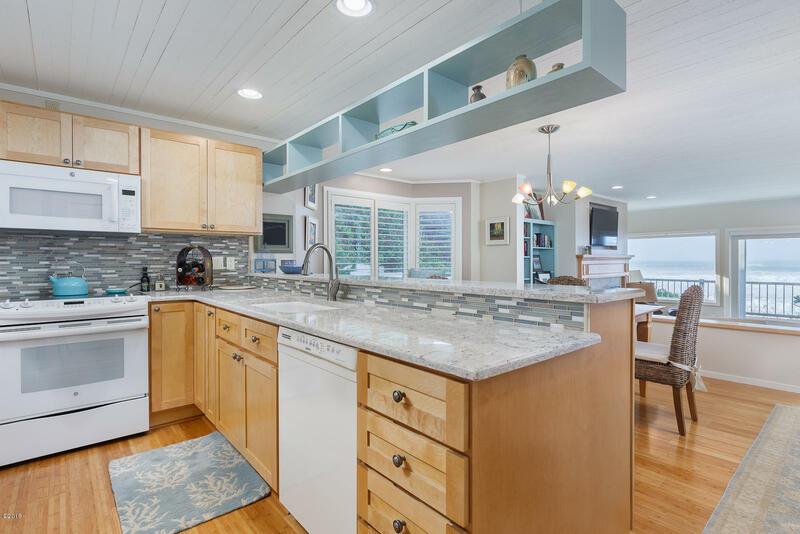 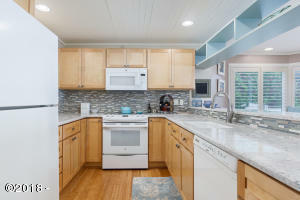 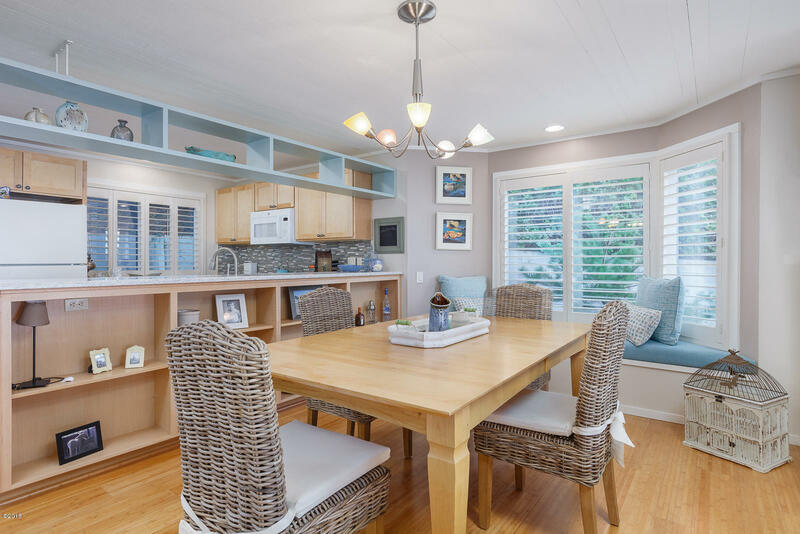 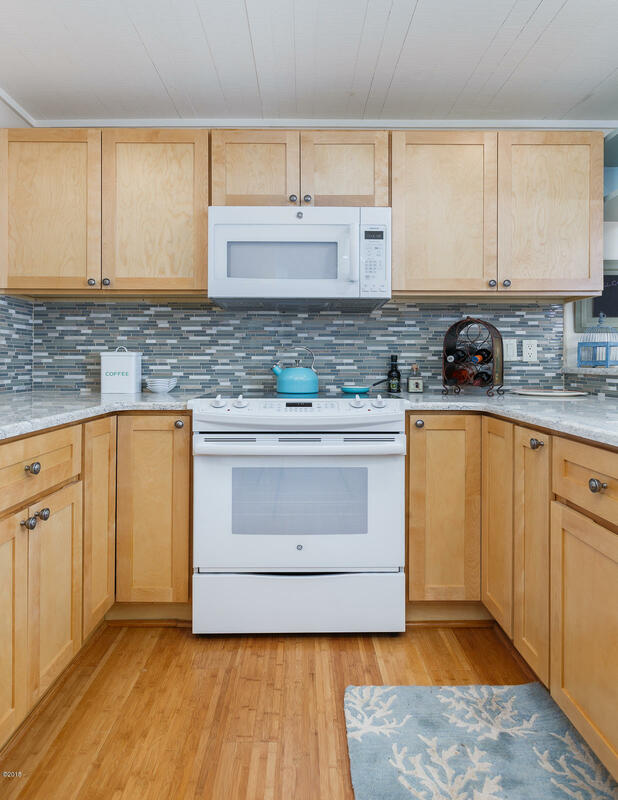 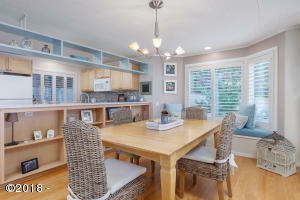 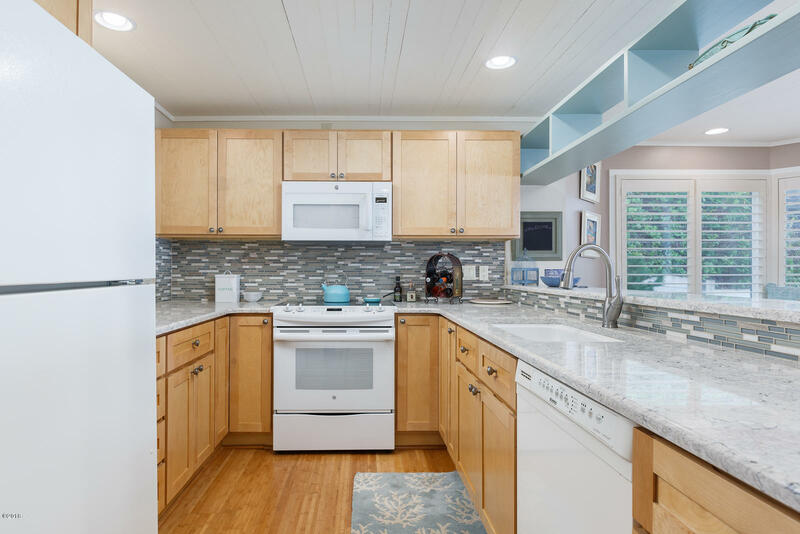 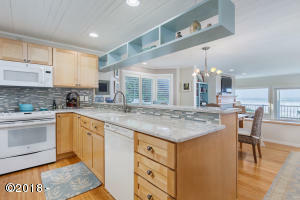 The kitchen has maple cabinets, granite counters and bamboo flooring. 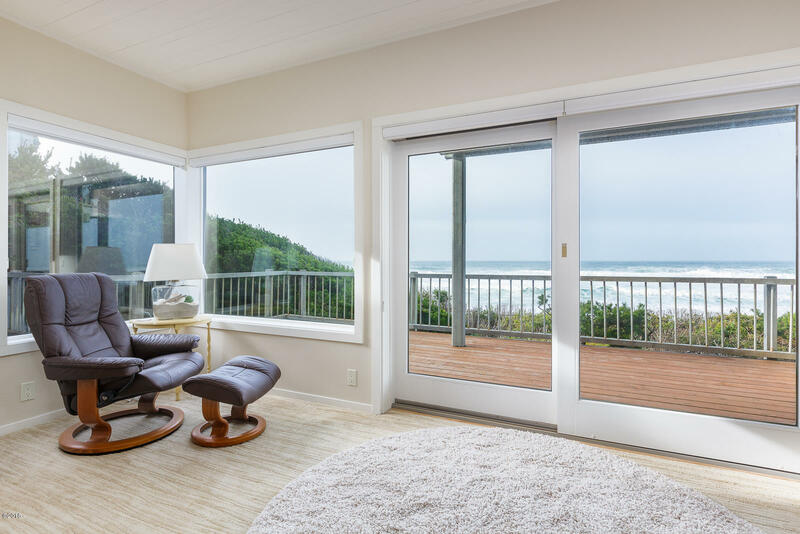 From the living room is a set of garden doors that open to the master suite. 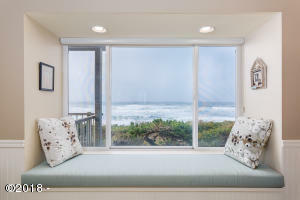 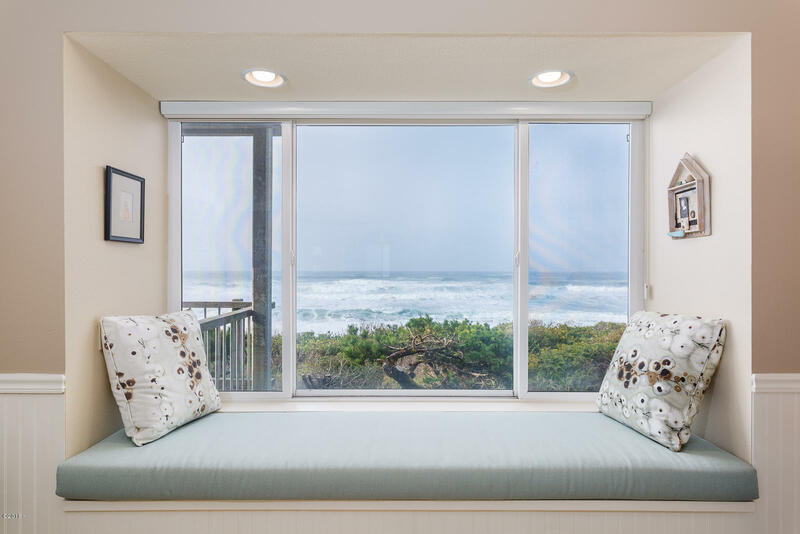 The suit is enhanced with a large window seat, wainscoting walls and a fantastic view of the ocean. 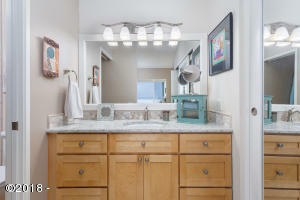 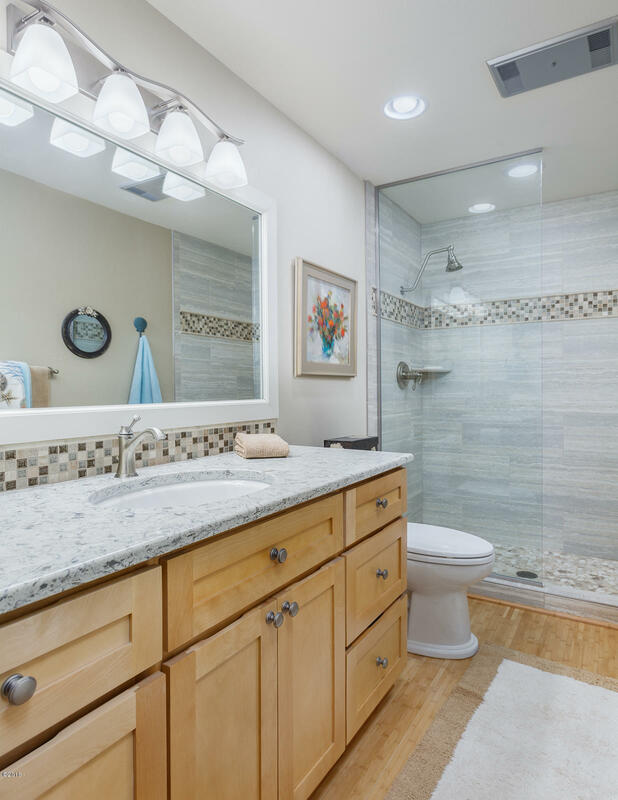 The master bath has maple cabinets, granite counters and a large stone shower and bamboo floors. 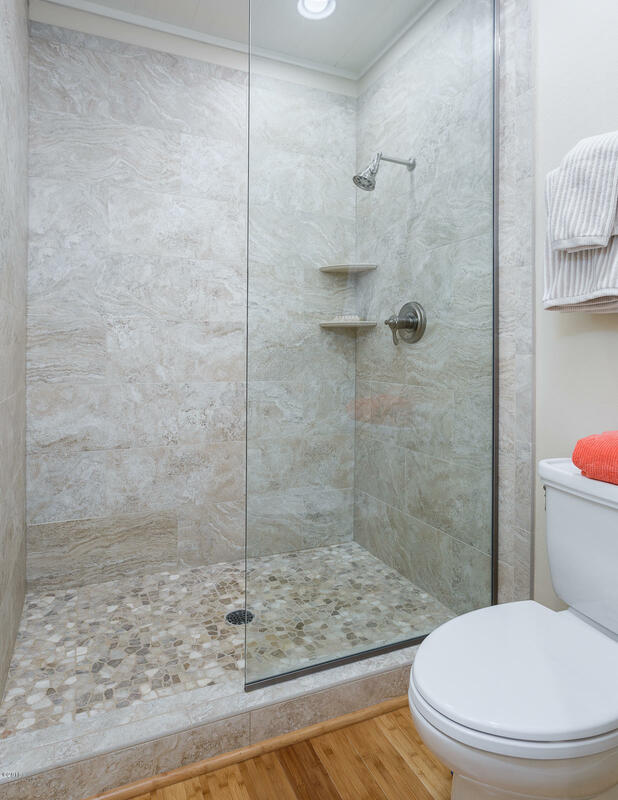 The guest bath shares the same quality features. 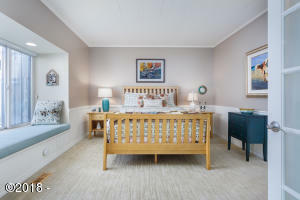 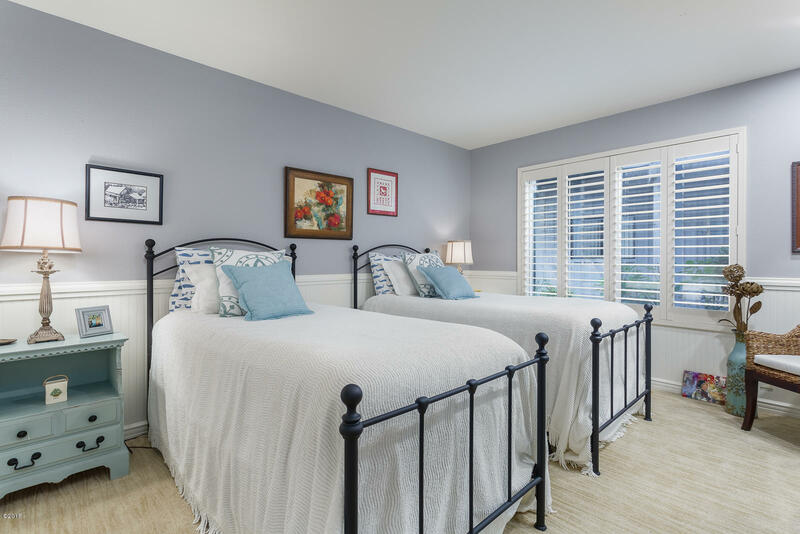 The guest bedroom has wainscoting and wooden shutters. 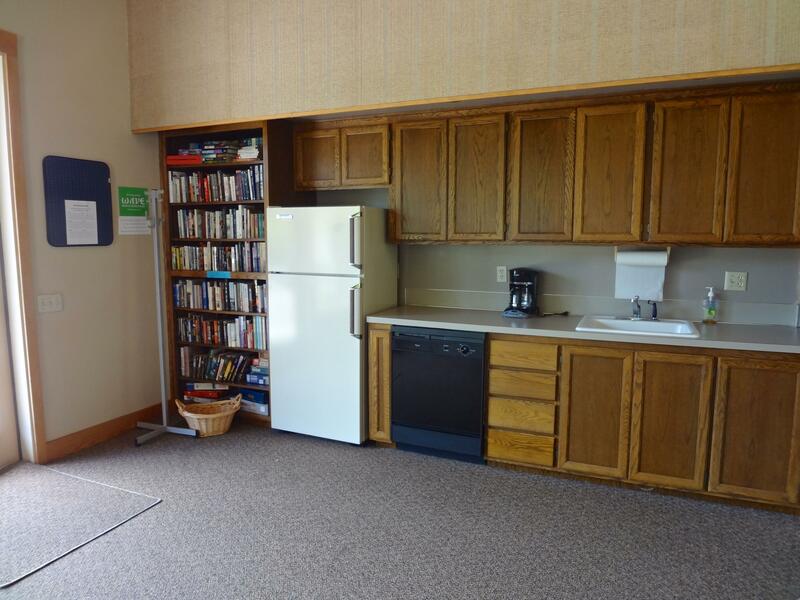 There is a separate room adjacent to the unit that is finished. 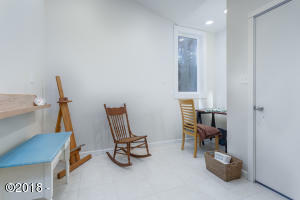 The current owner has used this area as an artist’s studio. 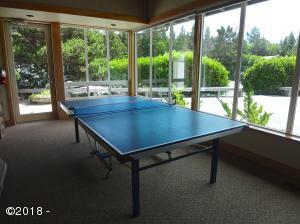 The seller would entertain selling the furnishings and some personal items for the right offer. 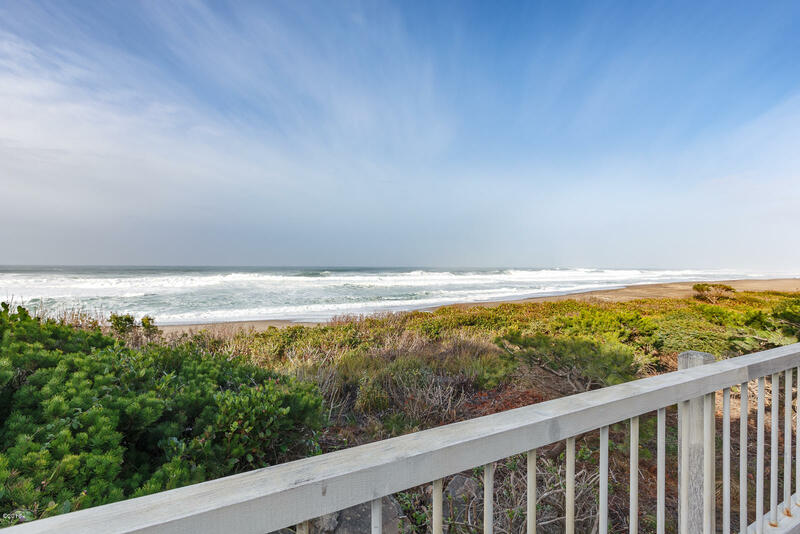 Searidge a prestigious oceanfront development, it is known for its spectacular ocean views from most locations. 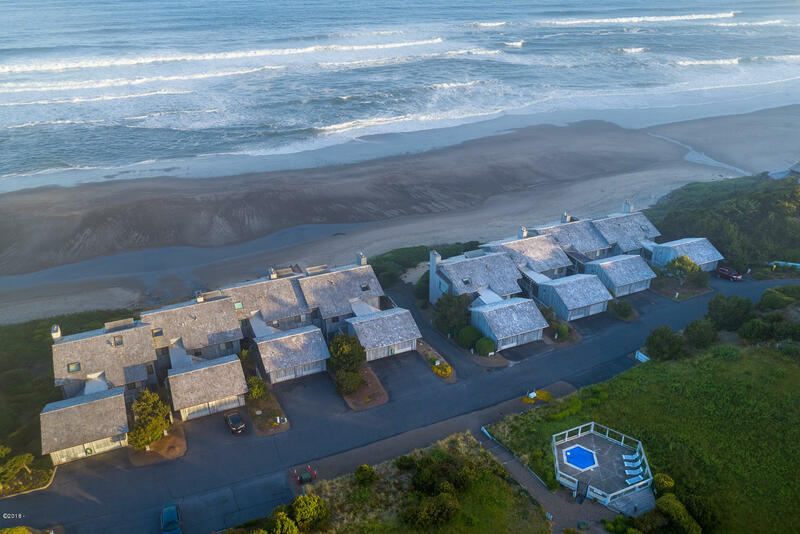 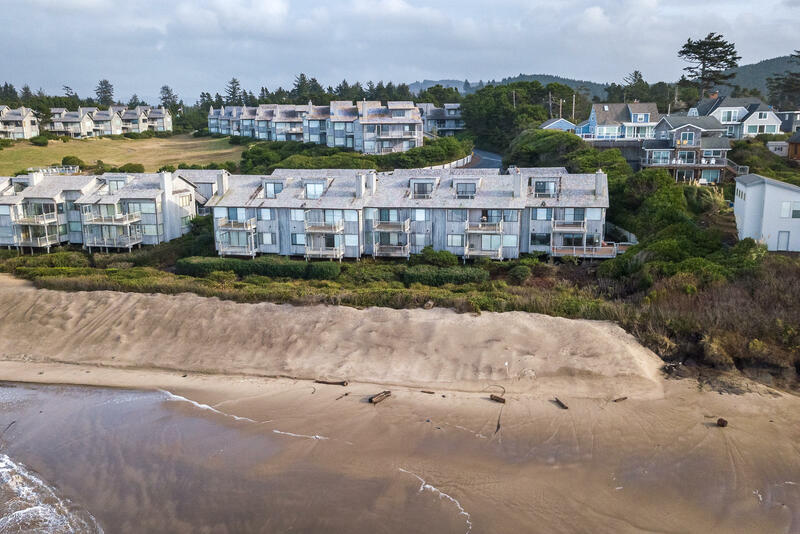 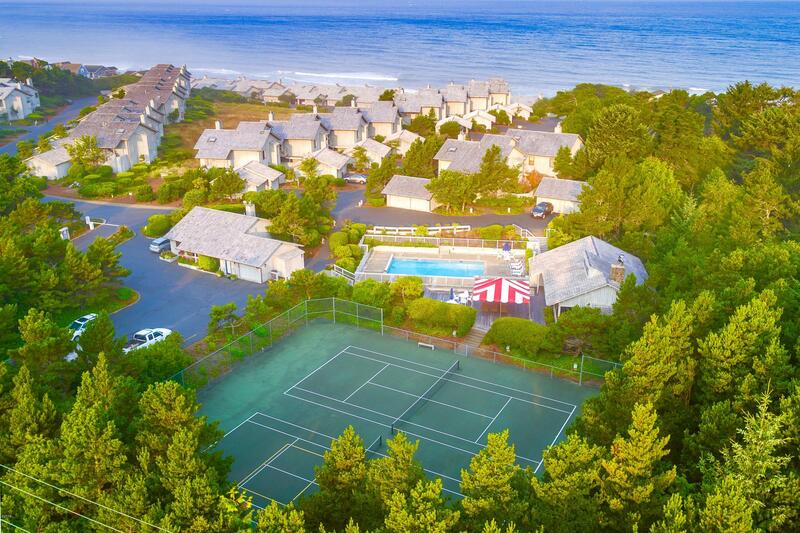 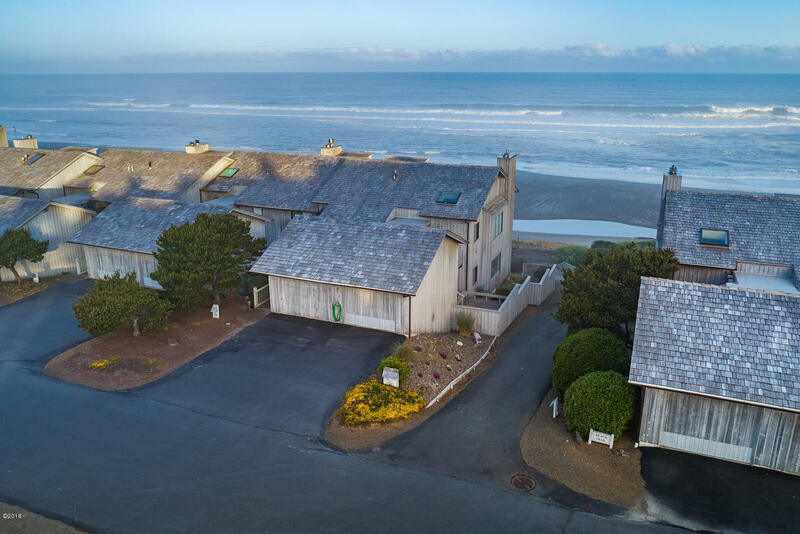 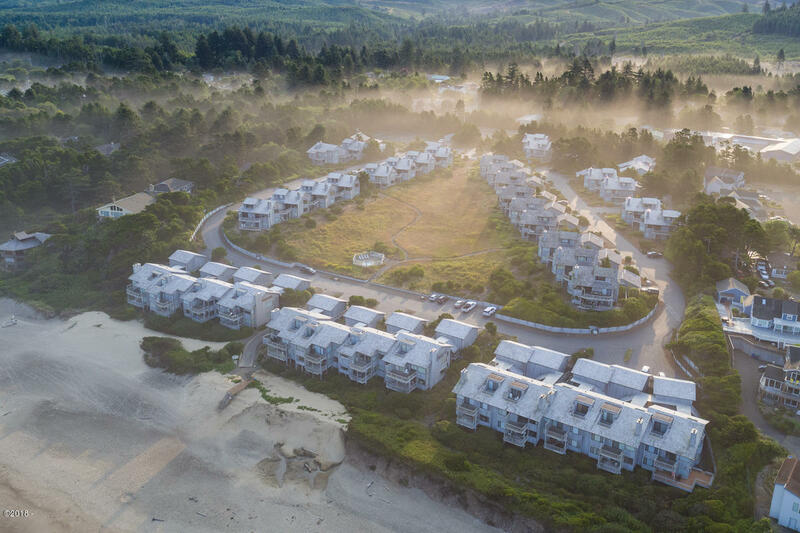 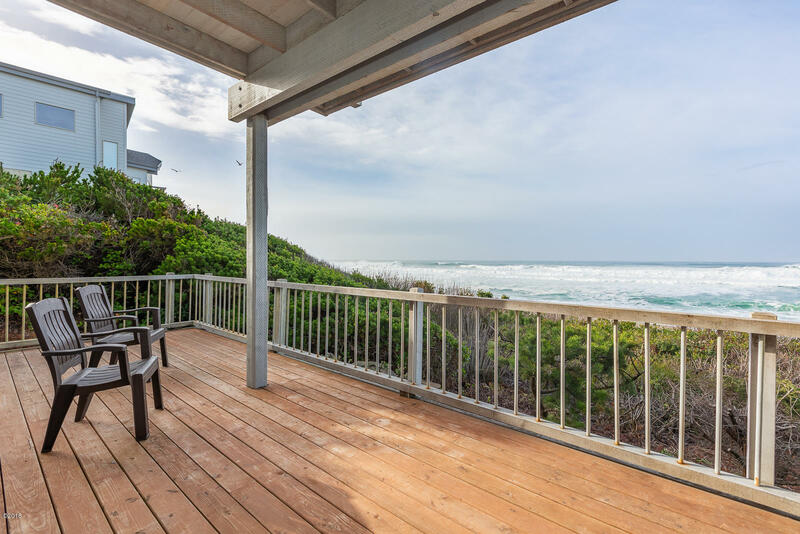 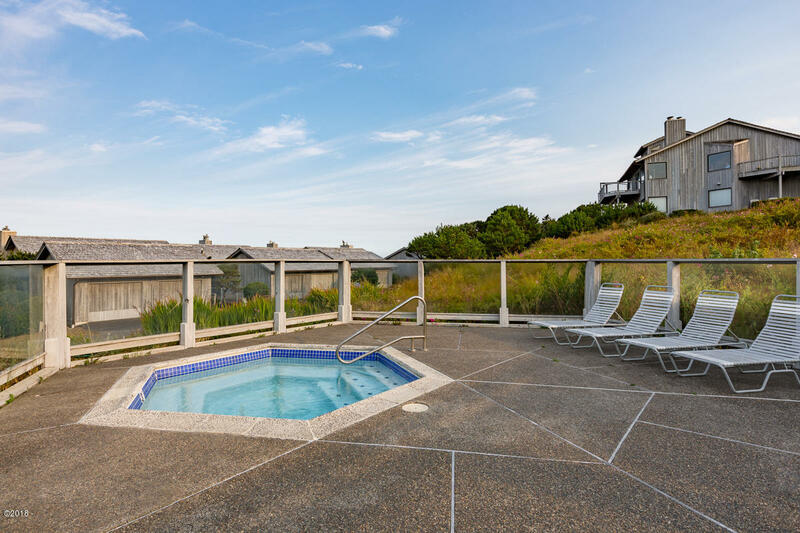 These classic condos are situated around a picturesque meadow, rich natural sea grass and provide a perfect forefront for viewing the ocean. 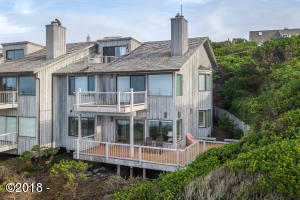 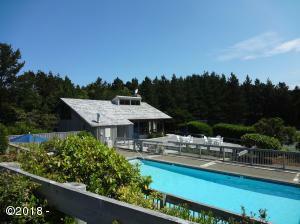 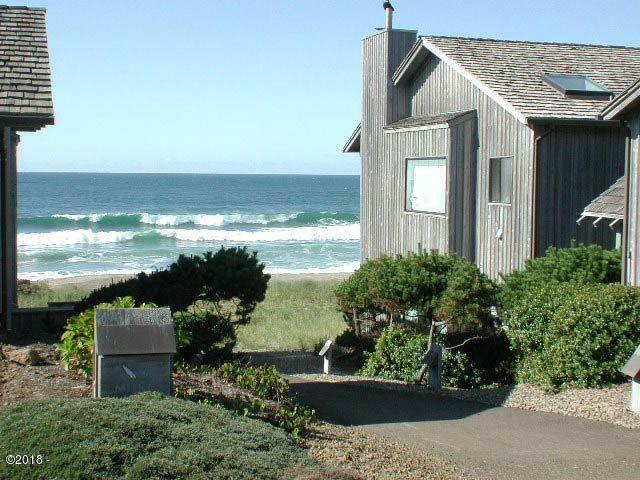 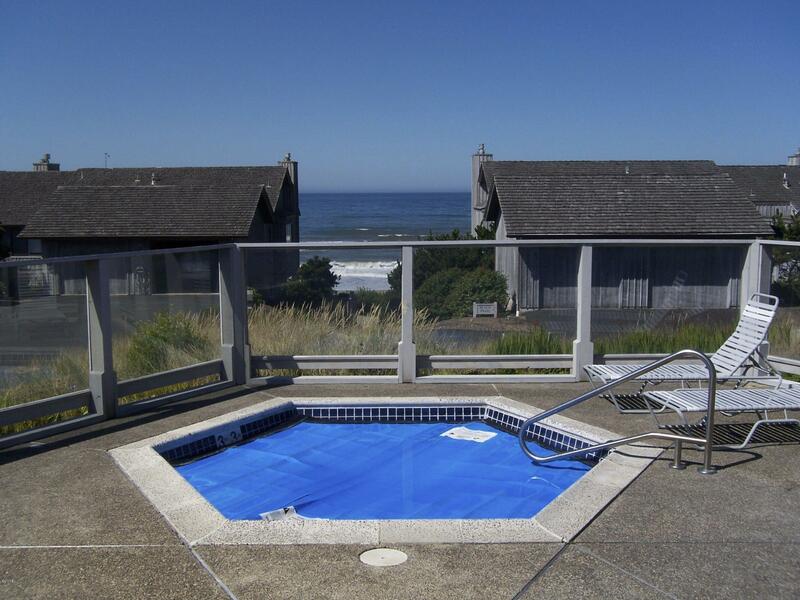 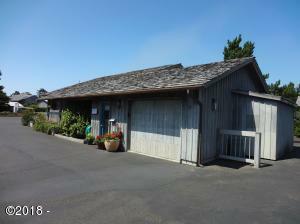 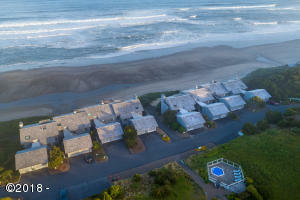 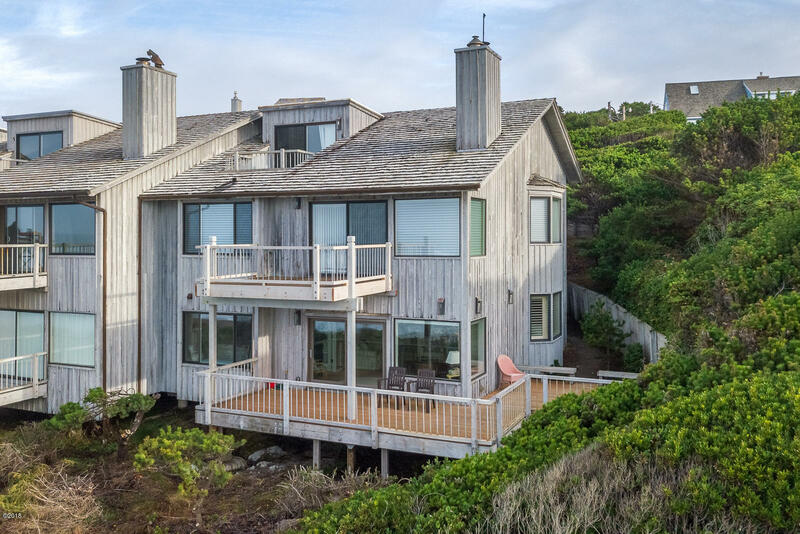 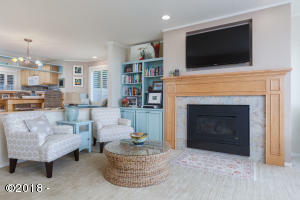 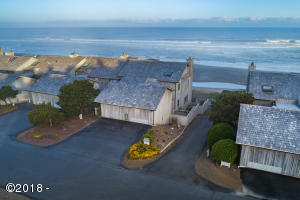 It is located between Lincoln City and Depoe Bay in an area that we call Lincoln Beach. The condominium site is 15 acres and includes 80 condominiums, of those 26 are oceanfront and all but 4 have some ocean view. There are full time managers that take care of the exterior and common areas. 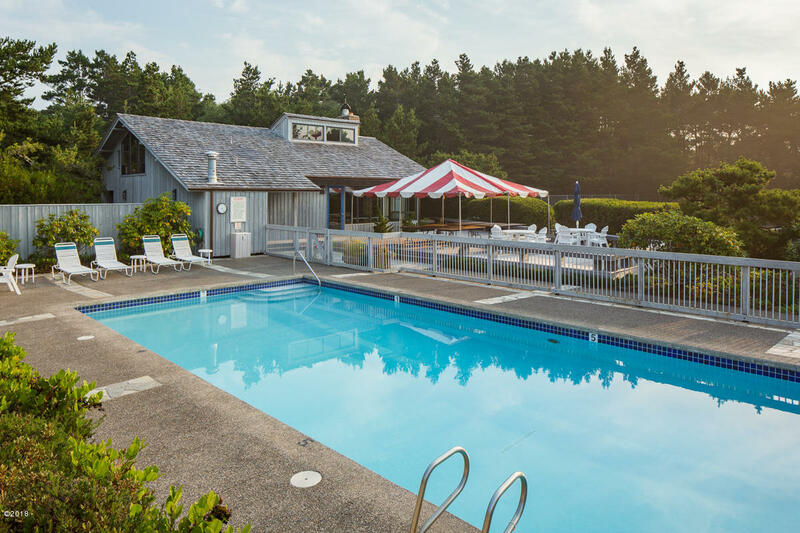 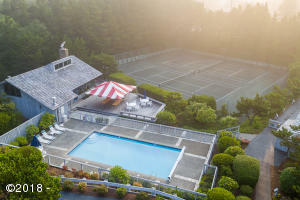 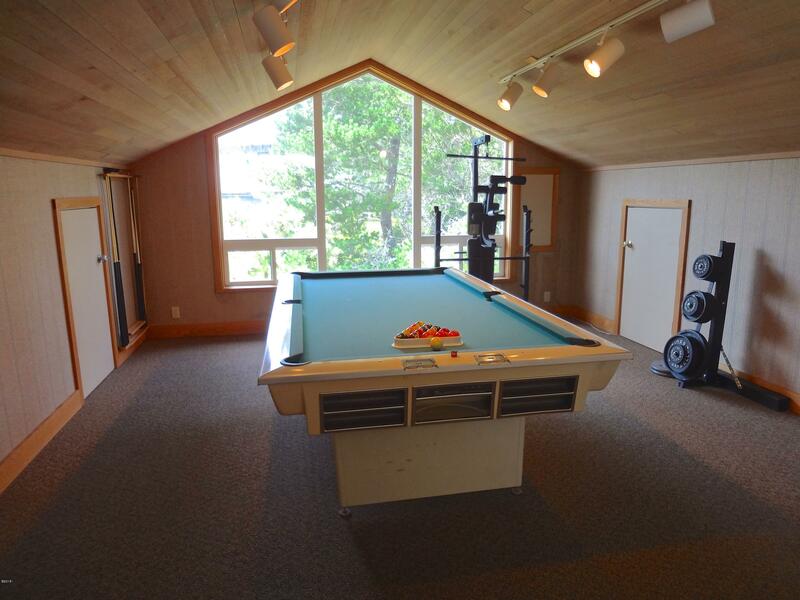 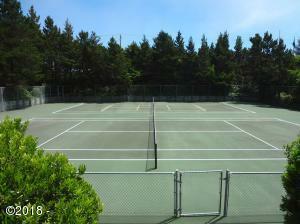 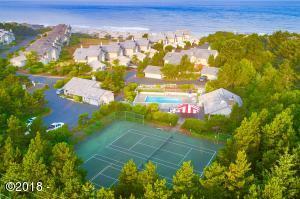 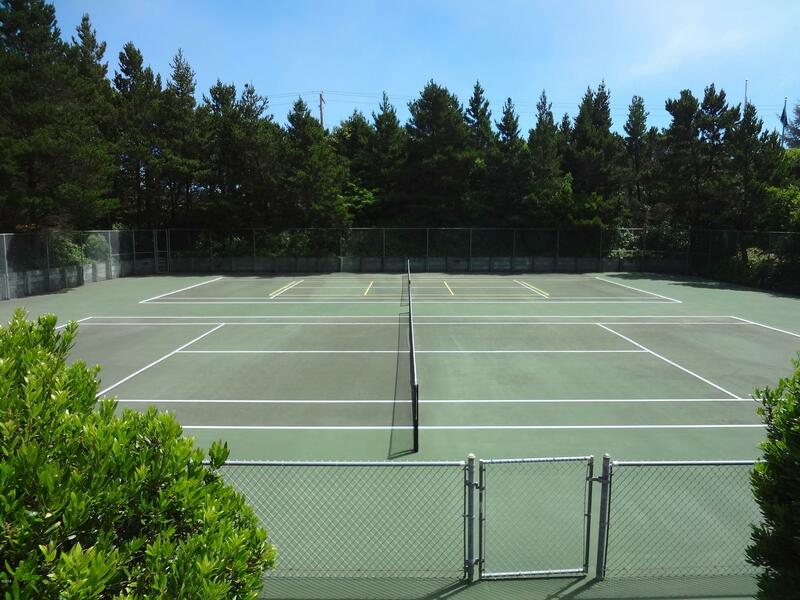 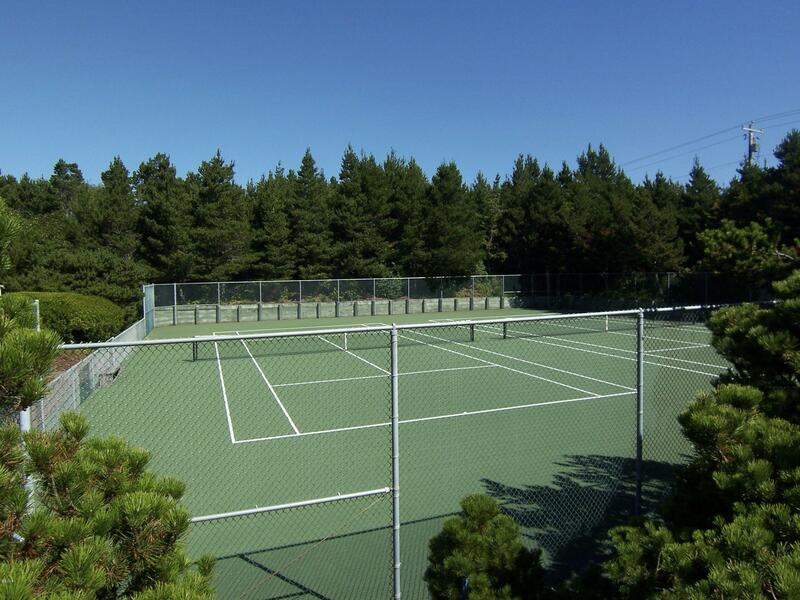 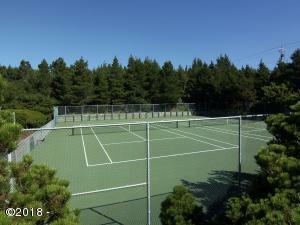 There is a recreation building, pool and deck and tennis courts. 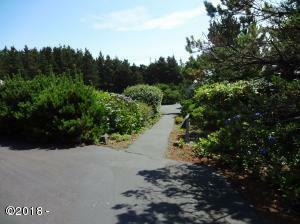 A large spa is located by the beach access and has an ocean view. 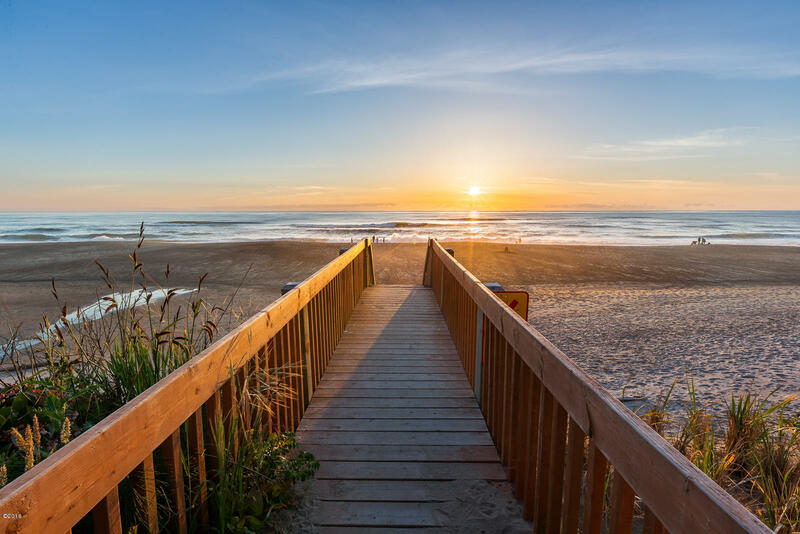 The beach access is easily navigable and leads you to miles of sandy beach. The association dues currently at $535 cover the property insurance, garbage, water and sewer, exterior maintenance, common elements maintenance, fidelity bond and management. Vacation rentals have a 2-week minimum. 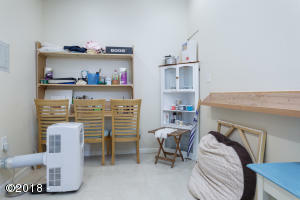 Almost forgot we are very pet friendly. Directions Searidge Gate, turn left, South ocean front building.